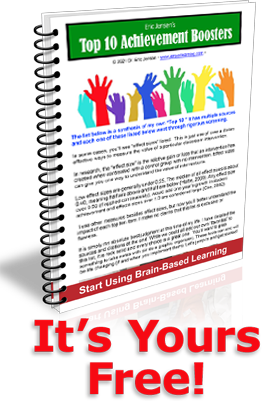 In brain-based education, the Jensen Learning Certification has been the “Gold Standard” of quality for many years. It was among the toughest and most interdisciplinary program available. It was a rigorous, full-service training that helped many get very, very good at this emerging discipline. NOTICE: We will be starting a new training program for those interested in summer of 2015. Check back AFTER you get on our mail list on the home page at www.jensenlearning.com. You will be notified IF you are on our email list.